Besides Karate, SKSM teaches also Kobudo with the aim of enhancing students’ motor and fine skills, together with increasing awareness of body movements and improving correct positioning, spreading out, and other visual skills. SKSM targets to improve students’ coordination and increases brain development through different approaches. The contrasting aspects in the teachings of SKSM, that is, that of Karate – which means ‘Empty hand’ and that of Kobudo – where students make use of a weapon, is not contradictory for the reason of the teaching aims themselves. 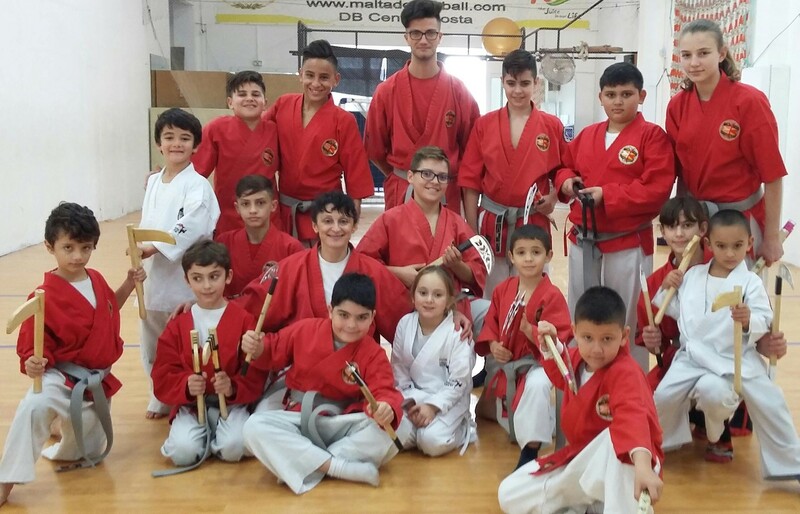 SKSM aims at helping students increase and maintain their attention span, learn to be creative, learn leadership skills and believe in their abilities through both Karate and Kobudo – skills which are much needed in everyday life situations . The use of a weapon during movement increases the chances of getting hit by one’s own weapon and this in itself requires more attention, self-discipline, and focus on the actual movements, leading to improved coordination.